We have a selection of fine wines and beers to pair with our cuisine. Homemade tomato sauce, ham and pineapple. We cook our pasta “al dente” but we can always cook yours a bit longer if you so wish. 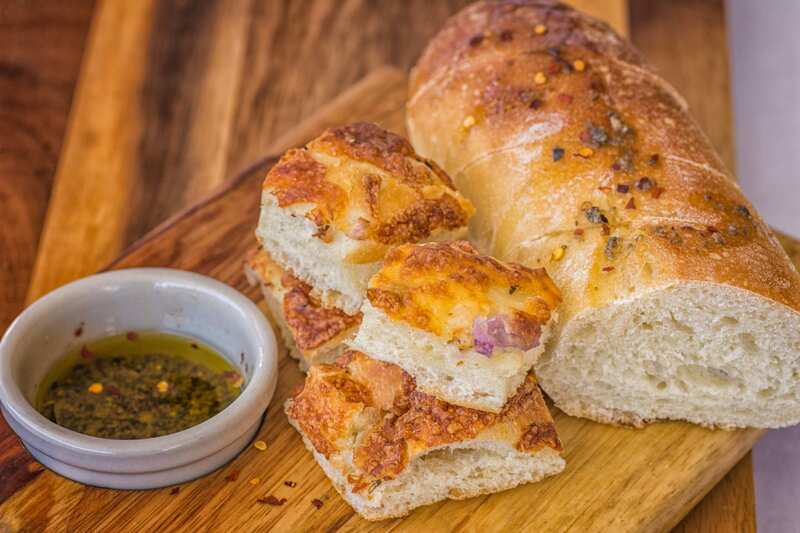 All Entrees served with homemade bread and our signature dip. Pan seared tender scallopini cutlet with lemon-caper-white wine butter sauce over spaghetti. Baked with Parmigiano Reggiano, mozzarella and our fresh homemade marinara Served with spaghetti. With our homemade focaccia bread made fresh daily. Served with fries. With our fresh homemade marinara and mozzarella. Pan seared tender scallopini cutlet, Marsala wine and mushrooms with tagliatelle pasta. Buona Ristorante offers fast and reliable delivery within a five mile radius. We cater your parties, events and special occasions. Please call us at 727-360-7970 or email us contactus@buonaristorante.com to discuss your catering needs. Buona Ristorante opened its doors on January 8, 2008 on the beautiful St Pete Beach, FL. Since then, it has evolved into a very popular spot with locals and visitors alike. In March of 2017, Diane and Marco Angelo recognized the potential of this little gem, and became its new owners. Faithful to our motto: “We prepare our homemade Italian favorites with care and pride”, we serve fresh homemade Italian dishes, tasty pizzas, great salads, appetizers, sandwiches and desserts. The combination of high quality food and attentive service in a clean and comfortable environment, transforms many of our first time guests into loyal customers for life. When you visit us for the first time, check out our back patio, it faces a small marina on the intracoastal Boca Ciega Bay where you can enjoy some great food and a bottle of wine in a very relaxing atmosphere. Diane and Marco are always involved in the daily operations and they are never too far to listen to your wants, your needs or your suggestions. Please stop by and introduce yourself. We’d love to meet you.